10 minutes walk from Nezu station (Chiyoda-line) or Todaimae station (Namboku-line) [Tokyo Metro]. Science bldg. 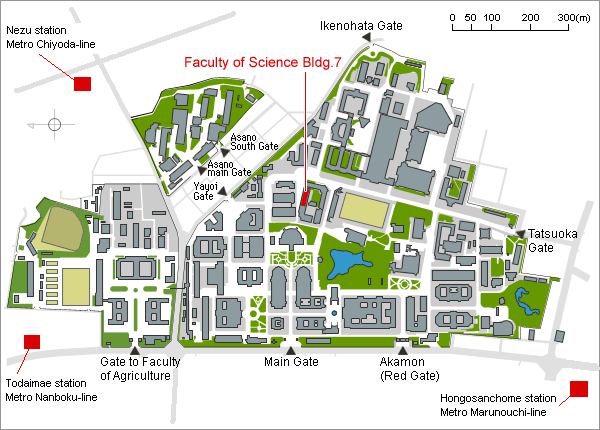 7, Room 303, The University of Tokyo,7-3-1 Hongo, Bunkyo-ku, Tokyo, 113-0033, Tokyo. TEL: 03-5841-4109. You can also see Google Map.